If you have suffered an injury that is no fault of your own, you need a personal injury lawyer that is willing to battle for you to get the compensation you deserve. At the Law Office of Jill M. Jackson in Denver, I provide personalized attention and work hard to get you every dollar you are owed. Schedule your appointment today if you’re dealing with an injury due to your involvement in a car accident and would like to discuss your case. Millions of people are involved in vehicle accidents each year. All it takes is one careless driver and you could find yourself having the first of many bad days. 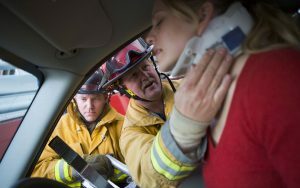 Car accidents are scary enough without having to worry about the aftermath of an injury. You can find yourself suffering from financial loss, physical pain, and emotional stress caused by the negligence of another driver. I will work with you and the insurance companies to make sure you get every dollar you are owed. Call or submit the form here to discuss your situation.